Recently completed aluminum fence installation in Grafton. 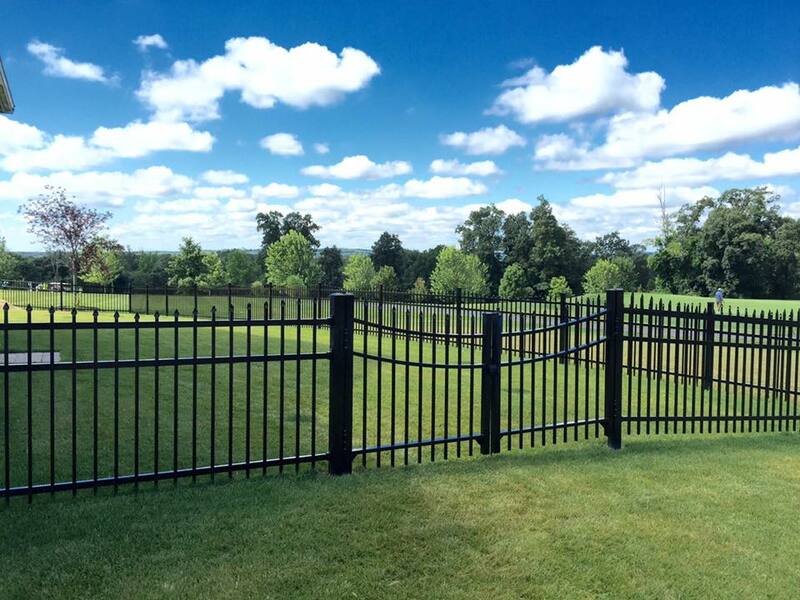 The Newport style aluminum fence by Specrail features a scalloped or concave look to add more aesthetics to a traditional flat top aluminum fence installation. This particular project was done in the commercial grade aluminum which comes in 8′ widths. The panels cost a little more but are stronger and you need less panels than the standard 6′ residential grade panels. Essentially, this means you are getting a better fence for less of a cost. The gates on this project are the Reverse Greenwich arch gate with added strength and durability from the welded corners. The posts are a 3″x3″ post to not only support the weight of the gates vs the 2 1/2″ posts, but to also have the entrances stand out more. All fasteners for are made with stainless steel to ensure there will never be any rust. The colors that the commercial grade come in are black, white, and bronze. To clean the fence, a mild household detergent and clean water followed by thorough rinsing. 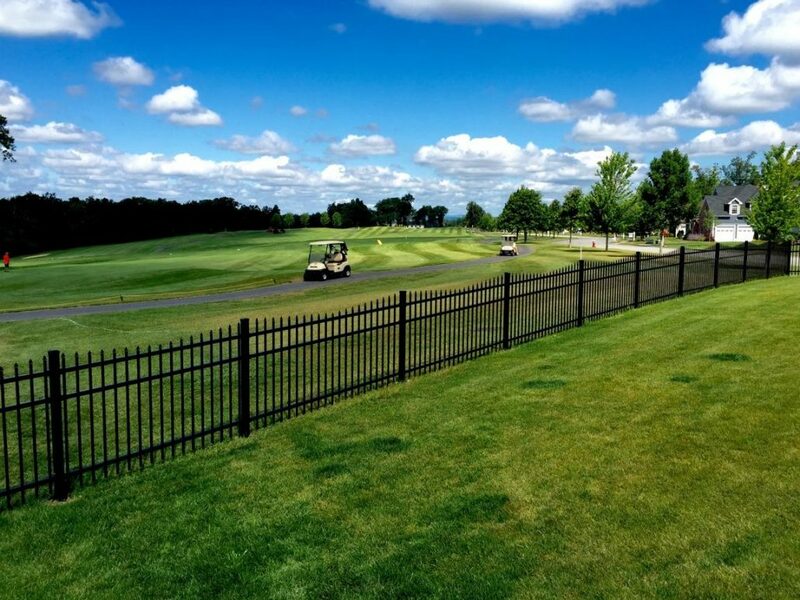 An aluminum fence installation is a great choice for a golf course because of the balls that will be coming in will damage a vinyl fence. Each picket can be replaced individually should anything get damaged.